Concept Capital, a for-profit venture capital company associated with holding company Crossroads Group, helps young people with long-term, viable business models get their start. It is not looking for restaurant or bar ideas, but for innovative product or service businesses that can be deployed on a larger scale. In addition to investing in these companies, in some cases Concept Capital will offer a physical office/lab/incubator and even housing space, mentoring and introductions to additional investors. 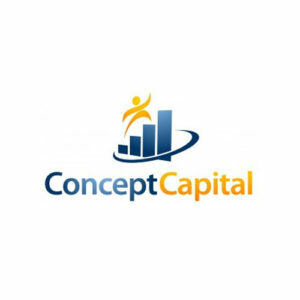 Concept Capital invests anywhere from $10,000 to $100,000 of startup capital in exchange for an initial equity stake or convertible debt offer. It typically seeks out businesses possessing a unique/breakthrough idea with barrier to entry which are run by entrepreneurs who are attending (or recently attended) Northeast Ohio higher education institutions. As a result, Concept Capital expects most companies in which it invests will be early in their development. However, companies must plan to start and grow their business in Northeast Ohio, and they also should demonstrate how they will position the company to be acquired or, possibly, achieve an IPO. Applications and project descriptions will be reviewed on a quarterly basis unless a more timely opportunity presents itself. Selected companies will be invited to make presentations. All investments are made according to a budget (and accompanying milestones) crafted collaboratively by the entrepreneur and Concept Capital.